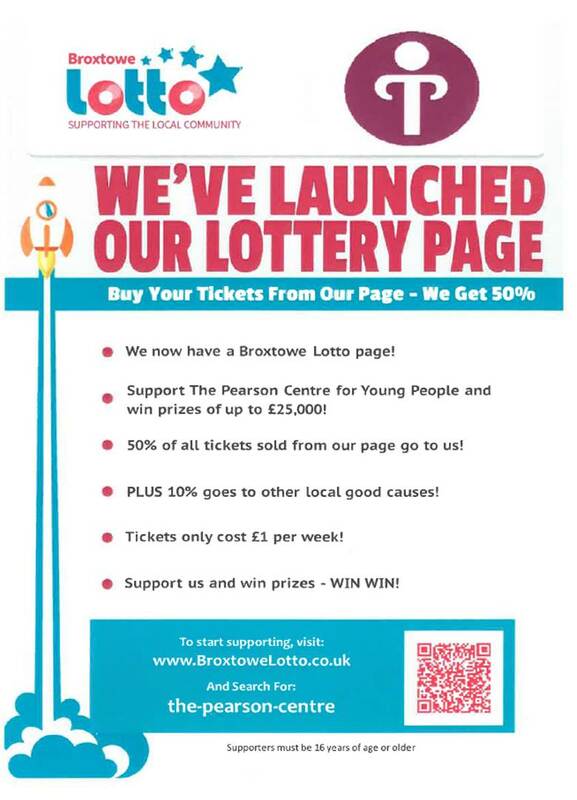 The Pearson Centre for Young People has been named as one of the good causes for Broxtowe Lotto. To buy your tickets visit www.BroxtoweLotto.co.uk and search for the-pearson-centre. Tickets for the lotto can only be purchased online. Please give serious consideration to purchasing tickets which could win prizes of up to £25,000! The Pearson Centre for Young People provides a much loved and valued service for the Beeston community and has done so for over a hundred years. We need your help so we can continue to offer activities and opportunities to our children and young people – something that you may well have experienced in your youth. We work with children and young people aged 5 – 18 years old through the auspices of The Boys’ Brigade and The Girls’ Birgade offering them lots of activities and fun to help them develop into grounded young people and adults. In addition we provide afterschool clubs and holiday clubs. Finally our facilities are available to be hired from anyone in the local community for meetings, private event, conferences etc. Most of our work is undertaken by volunteers but we do have a few paid staff. The money we raise through the lottery will go towards different projects. We really need your support in purchasing a ticket and wish you good luck!